Each product is assigned a five-digit code. Each product code is followed by a 9-digit number with the prefix “BC”. 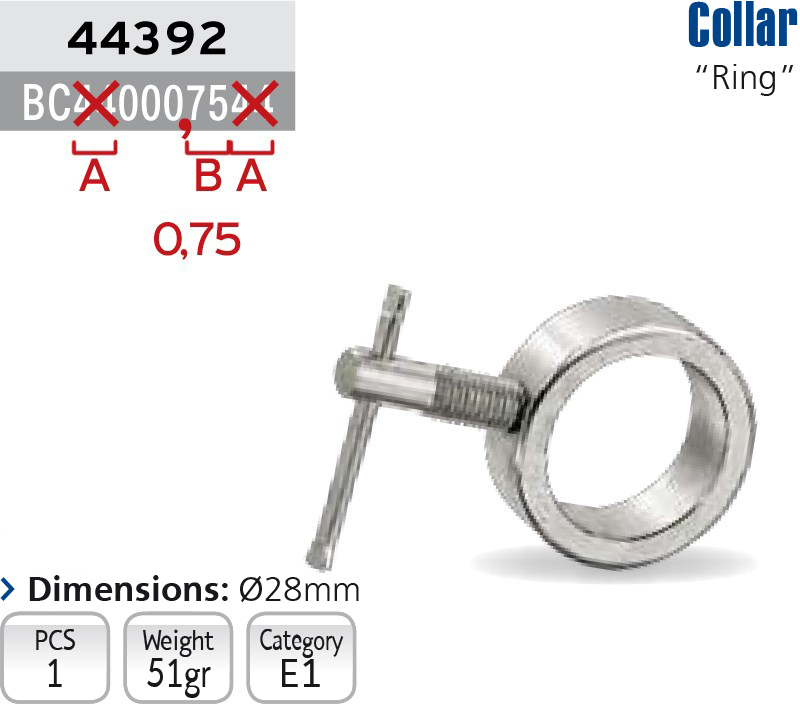 In the above example, the collar’s code is 44392 with BC440007544. The BC number contains the price. By deleting the first and last two digits (A) and adding a decimal place on the left of the last two digits, you will get the wholesale price (excluding VAT) with two decimal places (B). Therefore, the price for item 44392 is € 0.75. All of our products are subject to discounts. For each product, there is a visible icon box titled “Category”, which indicates the Product Discount Category. 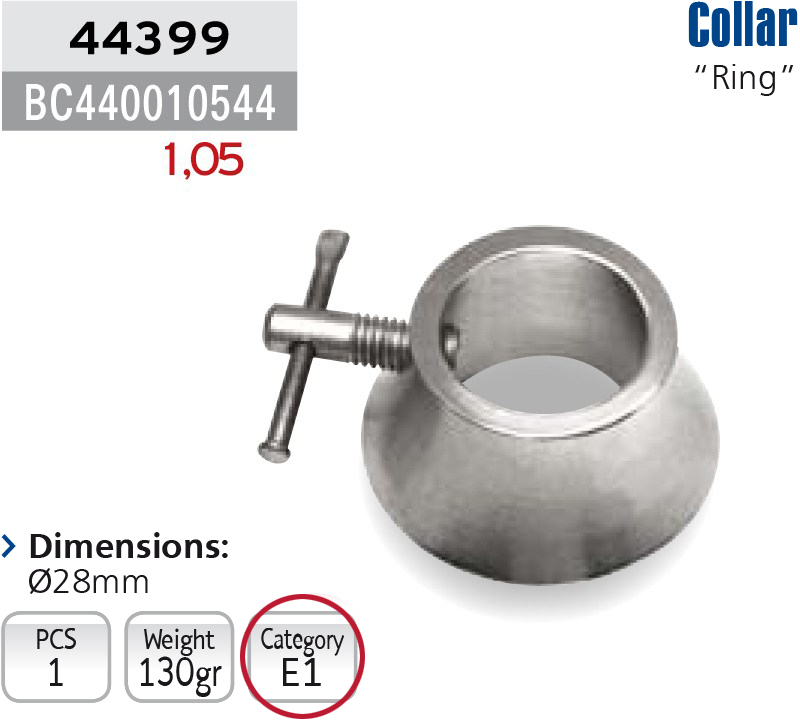 In the example above, collar 44392 belongs to the “E2” Discount Category, the percentage of which you can find in the corresponding file has been sent to you. Next to the 5-digit product code, there might be an occasional “DP” text (from the initials of the words Discontinued Product). This note indicates that this product has been replaced with an improved one or is no longer produced by the manufacturer, thus making it impossible to import. 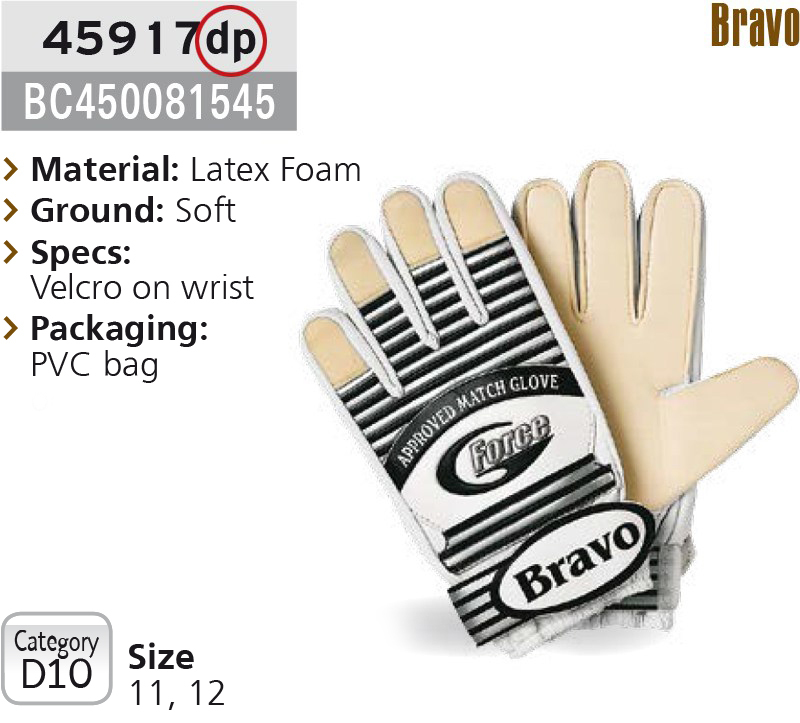 Therefore, before ordering such a product, please make sure you contact your consultant and ask about its availability. [Athens: 210 3478279, Thessaloniki: 2310 570037] or through your adviser.